A measles outbreak in Romania has killed 17 children and infected thousands more since September due to poverty and an anti-vaccination movement. 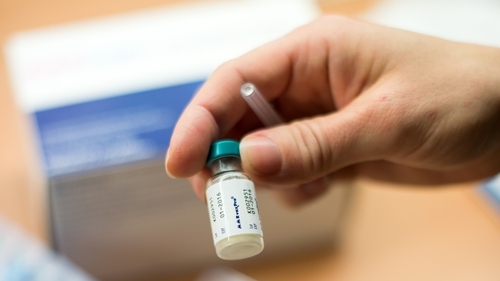 Romanian health minister Florian Bodog said that none of the children who died from the highly contagious virus had been vaccinated, adding that the last victim was a one-year-old girl from the northern city of Satu Mare. More than 3,400 people have been infected since February 2016 compared with the year before when the country registered seven cases but no deaths, Mr Bodog said, according to the Hotnews.ro site. He urged people to get vaccinated, saying it "is the only effective way to prevent the disease". Measles is a contagious respiratory illness characterised by high fever and the eruption of small red spots. The World Health Organisation recommends two doses of vaccination, the first by a child's first birthday, to ensure immunity and prevent outbreaks. Such vaccinations should cover 95% of the population. But Mr Bodog said only 80% of Romanians receive the first vaccination dose and just 50% receive the second. In Romania, poverty, the lack of access to health services, and the percentage of parents who refuse to vaccinate their children are at the heart of the recent epidemic. Religious organisations and public figures have led recent anti-vaccination campaigns. According to the European Centre for Disease Prevention and Control, while Europe as a whole has made progress against the virus, Romania is still considered high-risk for transmission, along with Belgium, France, Germany, Italy and Poland. In poor countries, many people simply do not have access to the €1, but the WHO has pointed out that children in affluent countries have a greater risk of infection because of scepticism about immunisation.